I want to hate Brian Henderson, I really do. In a purely ‘grass is always greener’ type-of-way, he’s living the dream. He’s living my dream at least, and many other people’s too. You see, if you live in the UK, and you’re into Volkswagen tuning, then Southern California is like some sort of holy place for all things VW. In fact, it’s kind of a holy place for automotive tuning of all kinds. Plus, SoCal is blessed with this thing called sunshine. If you think it sounds like I’m complaining, then you’d be right; I am. Last year in the UK summer was on a Tuesday. I joke not. As much as I want to hate Brian, I also respect him. 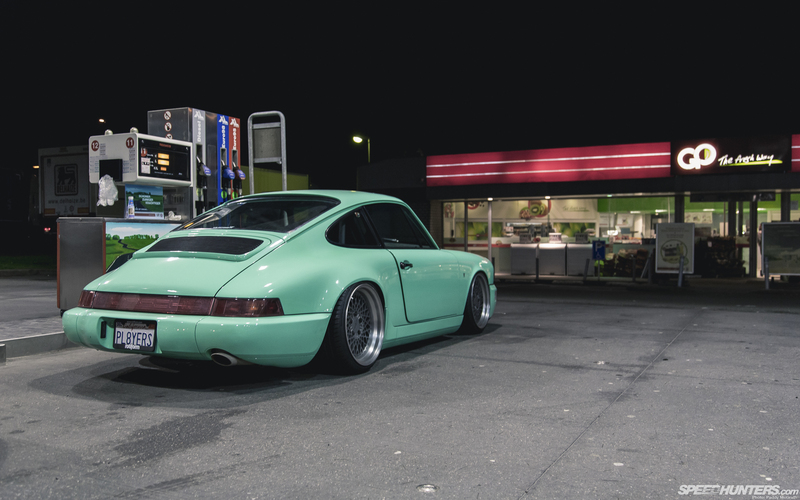 Not because he’s put together this eye-popping 964. Nope, that’s not really it. 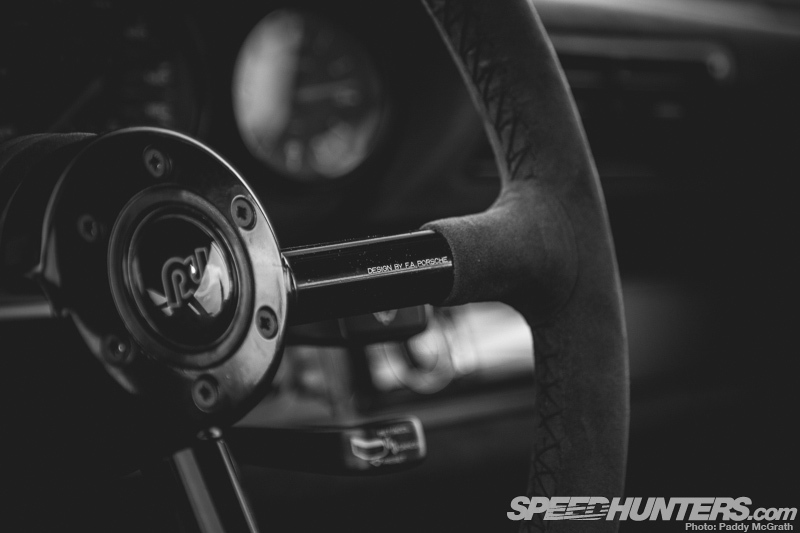 Mainly because in just four years he, along with business partner Jason Whipple, has managed to create arguably one of the hottest wheel brands in the world. 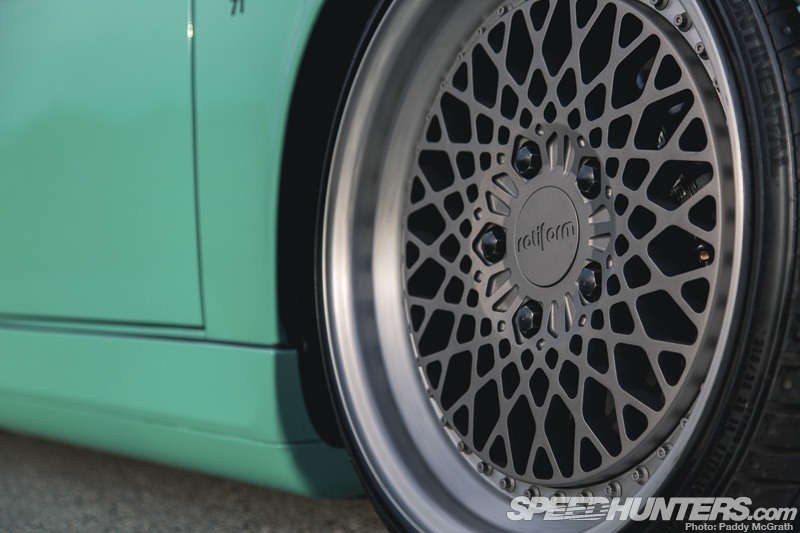 Rotiform is an exciting name in the wheel game. If you’ve followed Rotiform from the beginning you’ll know full well that its project build speed is nothing short of relentless. Cars get turned around in an incredibly short space of time. Airlift, KW or H&R suspension boxes arrive at the shop and within a matter of days – sometimes even hours – photos are going up online of the latest project dropped a whole load closer to terra firma. Sometimes its cars are built for ultimate handling, other times just to look cool. 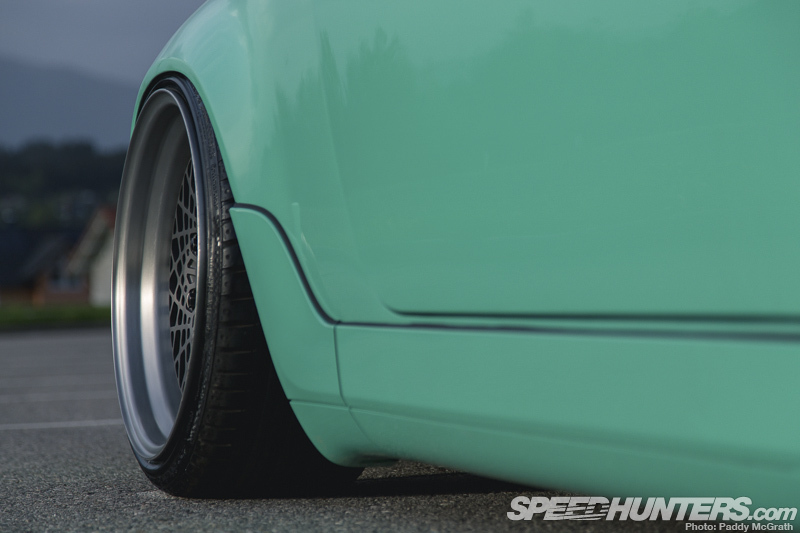 No matter what though, Rotiform builds are always fun. Some people walk the walk, whilst others talk the talk. 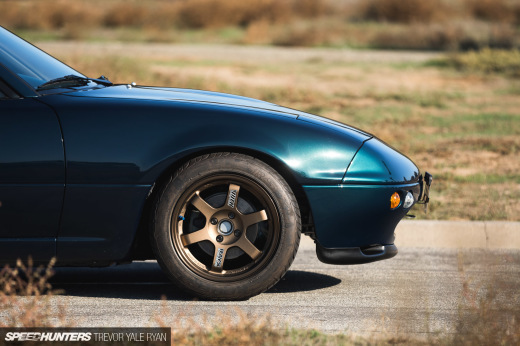 Brian Henderson definitely falls into the aforementioned category – when it comes to cars, there’s not a great deal of talking and more a whole load of doing. In fact, with Brian, it almost seems like there’s no point in talking about what’s going to happen at all. There’s simply no time for it. Of course, there’s a seemingly endless amount of wheels to build for Rotiform’s ever-growing customer base. Because that’s what it’s all about, isn’t it? I mean Brian wouldn’t be doing this car building nonsense for any other reason than to promote the brand, right? Actually no. The guy’s as obsessed as the rest of us. He’s addicted to all things automotive. His long suffering wife, Deanna, can’t complain about this lifestyle of car culture. Way back when Brian and her had only known each other for less than a couple of months, she went 50/50 with him on a super-cool 1963 Cadillac. Deanna fuelled the fire and now things are so far gone there’s little point trying to put out the flames. 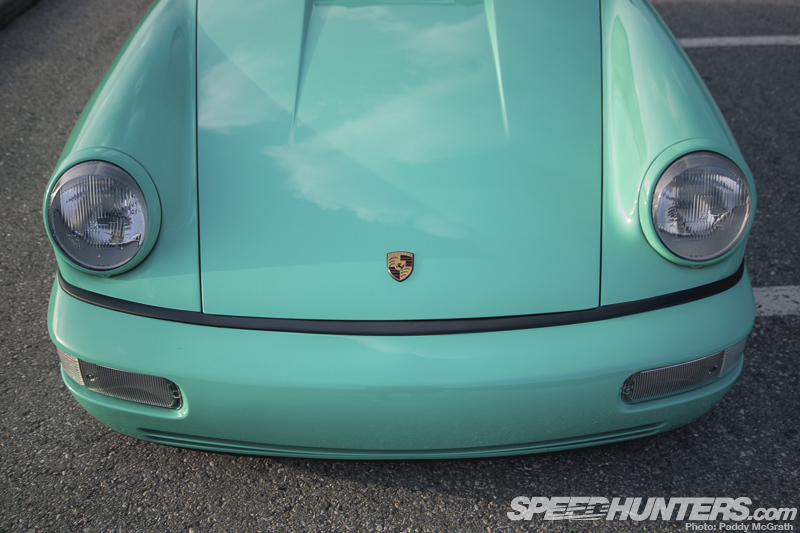 But this Porsche 964 didn’t always look all minty and nice. 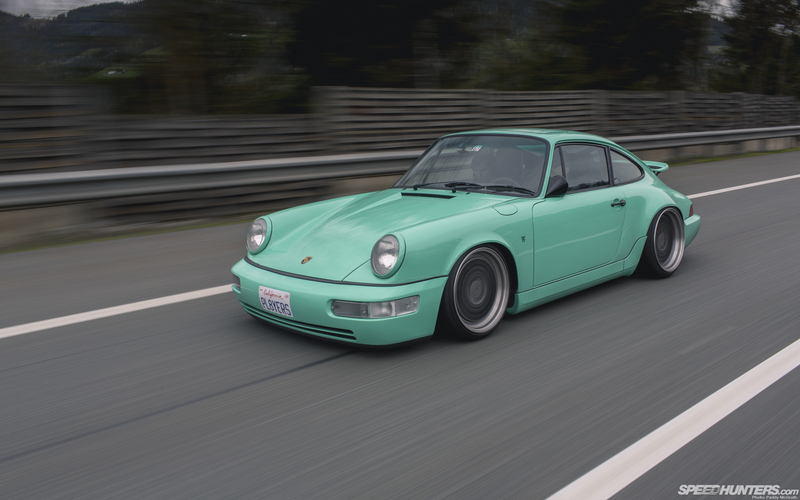 Nope, the road to peppermint green started earlier on this year when Brian took the decision to put his beloved 964 into a container and ship it from Los Angeles to London. Richie at Milestone71 was to orchestrate the build and, as always with Brian, time would be of the essence. The transformation would take weeks and the deadline was to be Wörthesee show. This would involve an epic European road trip taking in multiple countries and thousands of miles straight after the completion of the build. The 950-mile journey to Velden is Austria would be the Porsche’s shakedown. See what I mean about walking the walk? Would the car be done in time? There was only one answer – yes, it had to be. Would the car make it? Well, I can’t kid you and hype it up. There will be no sense of drama and no will it or won’t it kind of play in this story. 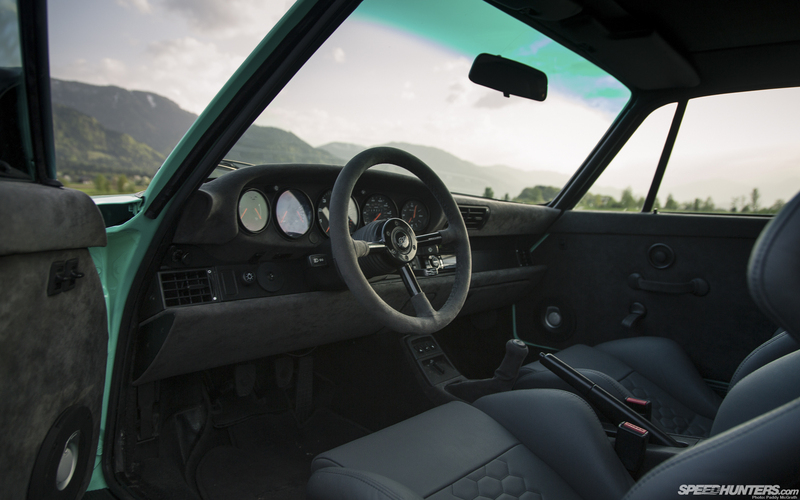 Paddy’s photographs of the killer 964 in front of the Austrian mountains more than give the game away. 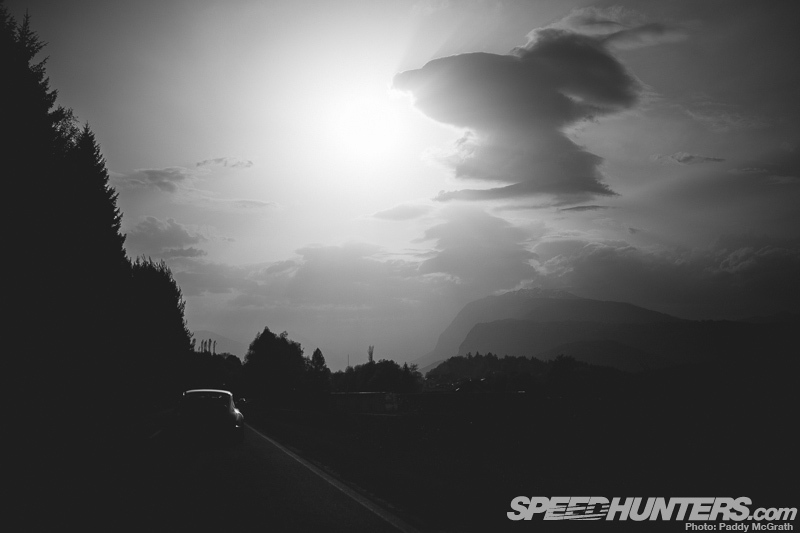 Furthermore the car featured in Paddy’s epic road trip adventure story covering our journey to Wörthersee which was posted a handful of weeks ago. 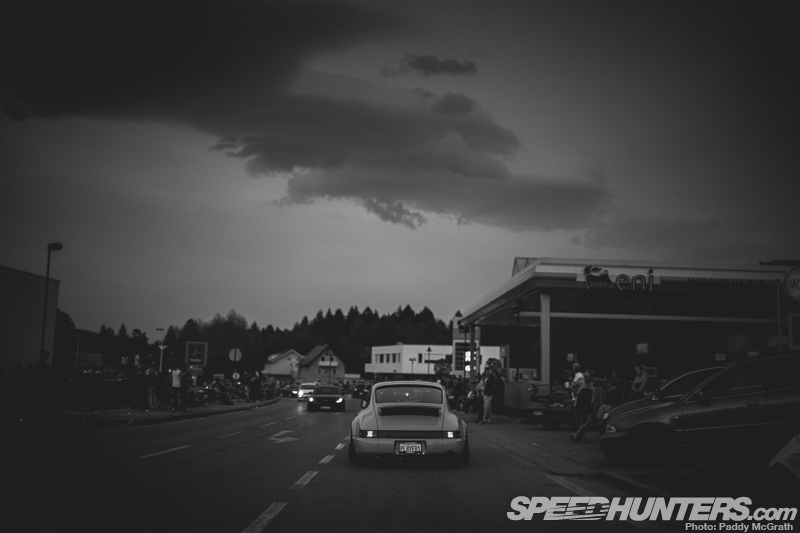 So of course, yes, Brian’s 964 made it to the Wörthersee. 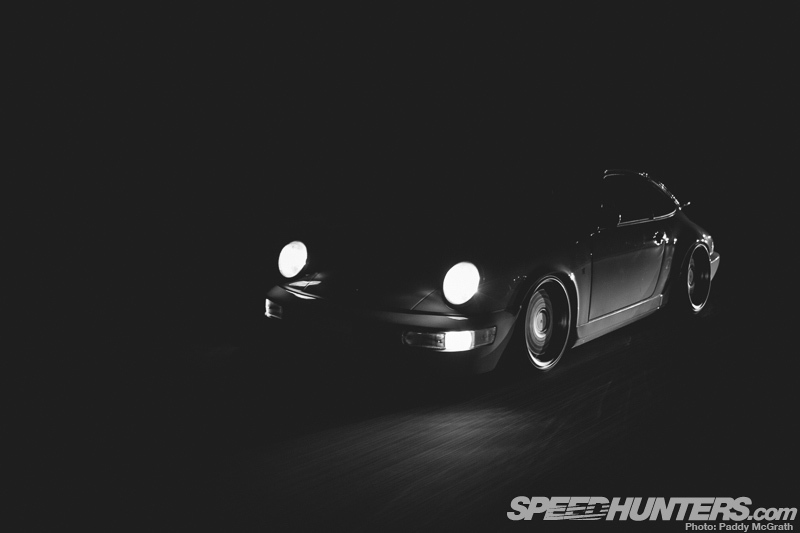 In fact the car didn’t just make the journey, it positively tore its way through the night baiting 997 Porsches and Audi R8s all the way up to speeds of 165mph on the German Autobahns. This is no show queen. One year earlier Brian had stood outside this cafe/bar in Reifnitz and dreamt of having his own car at the Wörthersee. Twelve months later and that day dream became a reality. I guess this photograph kind of embodies the spirit of making things happen. I don’t think Brian stopped smiling all week. Seeing him drive literally all around the lake hitting up various car meets in the Austrian hills was really cool. You couldn’t get him out of the car. 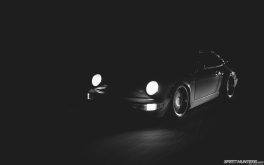 He would stop for dinner and then be straight back out in the Porsche again heading up to the Shell Eni Station until the early hours of the morning. 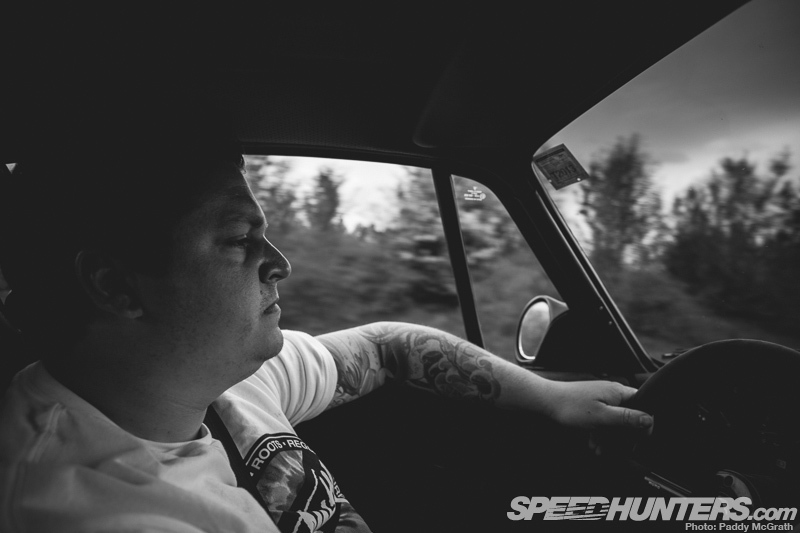 The 964’s journey to Austria is not just a testament to Brian’s ballsy attitude. It goes way further than his commitment to creating his dream car and driving the freshly-completed Porsche a very long way. It is, of course, a massive salute to those involved in the build. Mr Steve Denton, famed painter of many a Volkswagen show car here in the UK, and head man at StyleHaus, took care of the bodywork. Denton is one of the founding members of the famed Edition38 Show is well known for his obsessive prep work. This shows in the Porsche’s arrow-straight body and the result is all-killer. 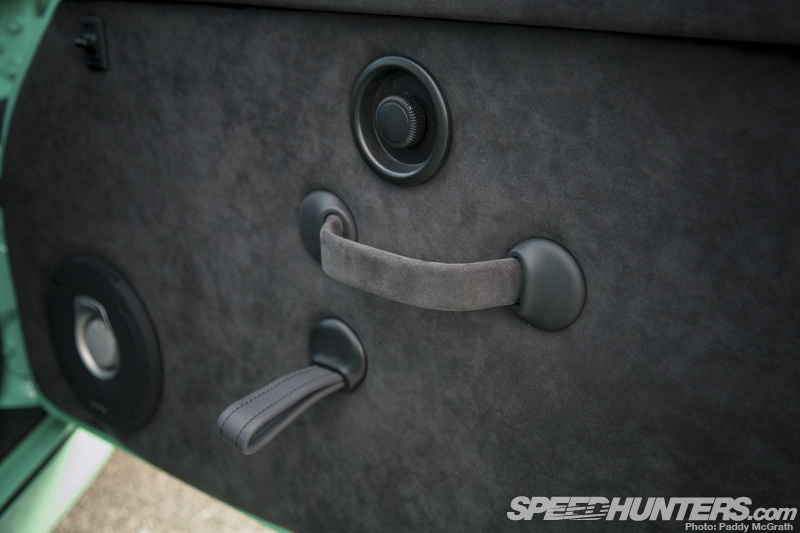 Neat little touches adorn the car’s exterior and you find yourself looking at parts of the car wondering what’s been changed-up. I really like this when a car has me a little bit confused for a few moments whilst my brain works out why I am drawn to an area. The single AP Car Design mirror fitted to the driver’s side is cool. 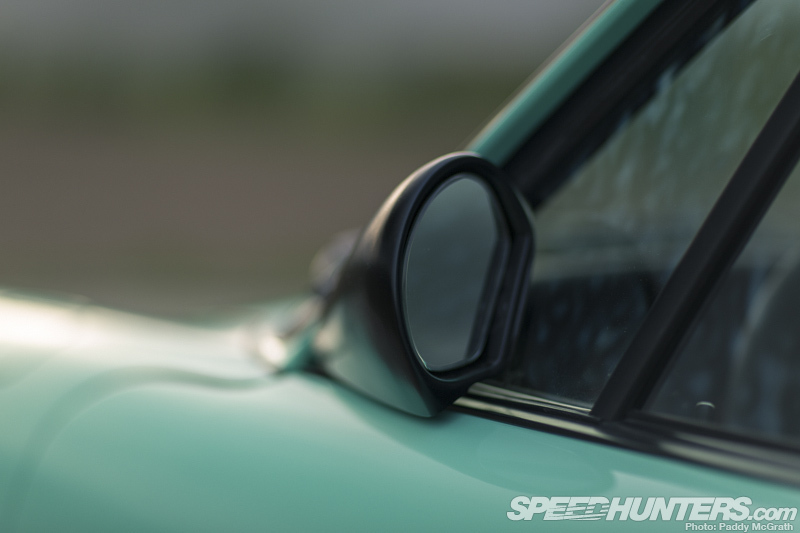 The passenger foregoes rear viewing thanks to a custom StyleHaus baseplate that shaved the OEM mirror. Less is more. The interior has been completely re-trimmed by Plush Automotive and a lovely combo of leather and Alcantara has been mixed together perfectly. 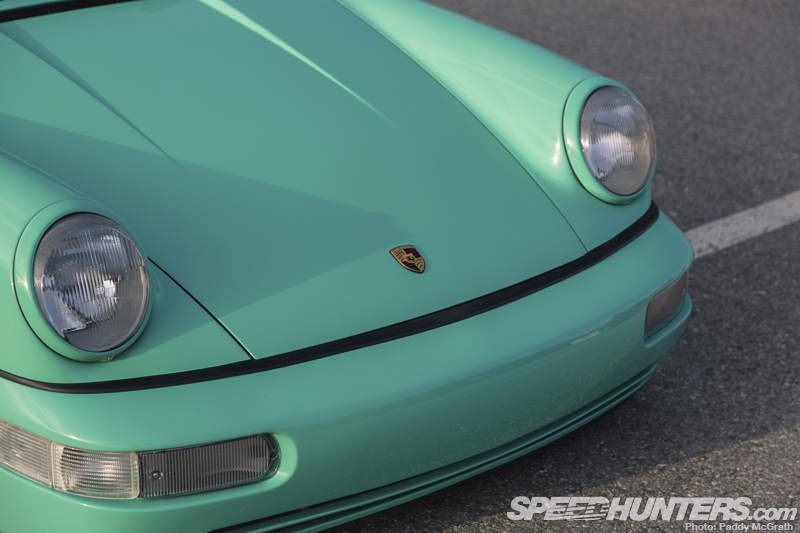 This cocktail is all well and good, but it’s attention to detail that really makes this 964’s innard’s special. 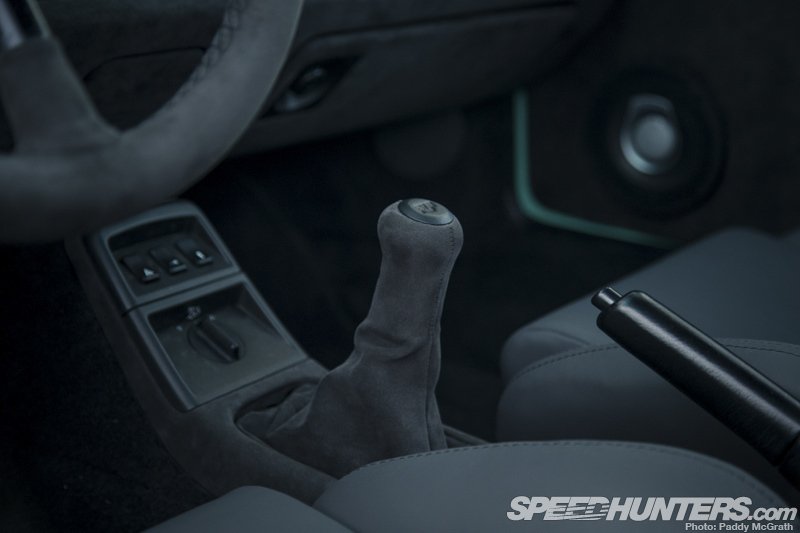 … and the RUF gearshift knob are super-cool additions. 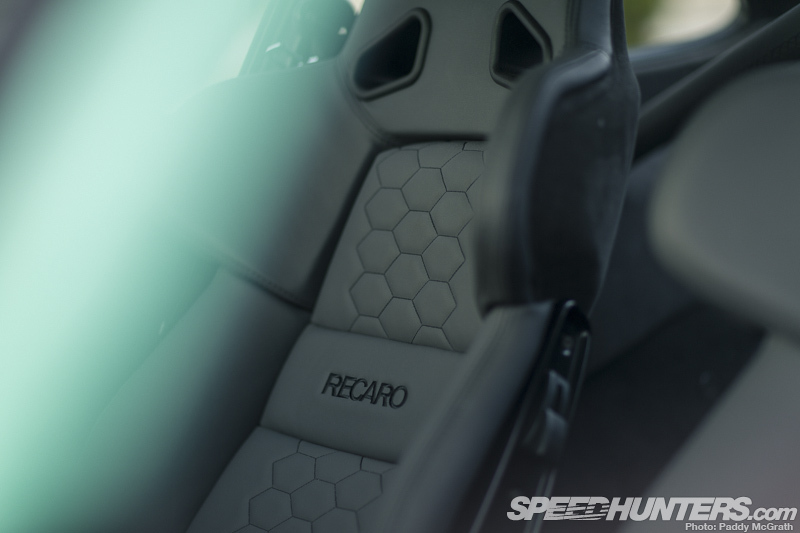 No matter what, though, I cannot stop my eyes being drawn to the gorgeous A8 Recaro seats. These are very rare indeed. Not just ‘eBay rare’, but genuinely hard-to-find-rare. The fit is snug. And this is only the second time I have ever sat in an A8 seat. They feel really good and work very well in the Porsche 964. The needlework is very tight too. 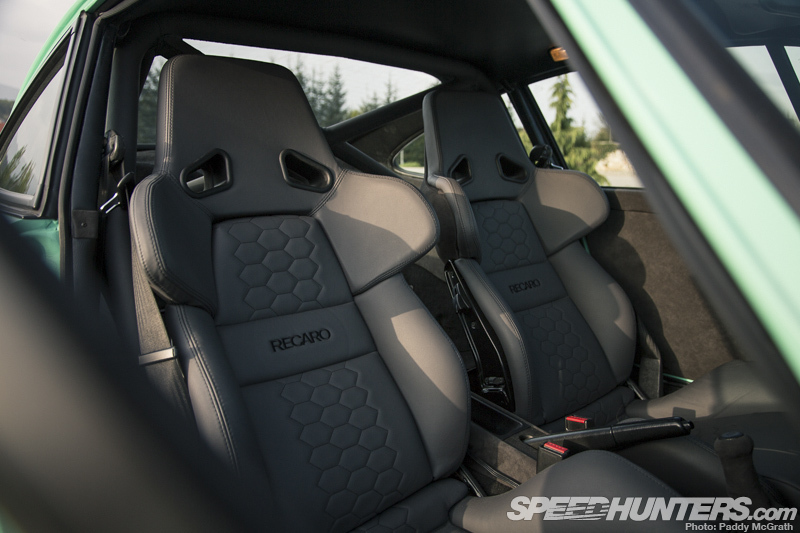 These seats, for me, are the best interior modification by a country mile. Plush has done an awesome job. 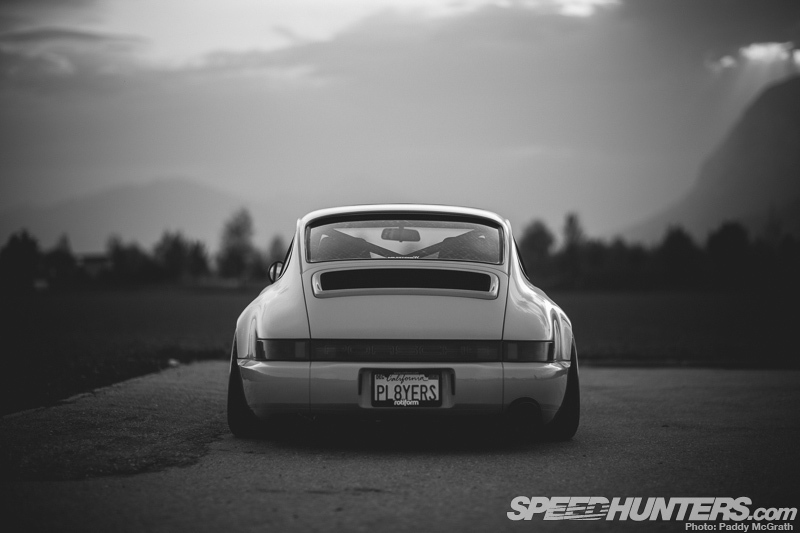 From every angle the Porsche 964 looks great. Brian specifically did not want to go for a wide body conversion on his 911. He wanted to keep things simple and add his own touches to the timeless design. Once the car had landed in the UK the Players Show guys took care of shipping the car from Milestone71 to paint shop to trimmers. Brian has his friends on this side of the pond to thank for all of their help and support. The license plate is a gentle nod of appreciation to his friends over here in the UK. 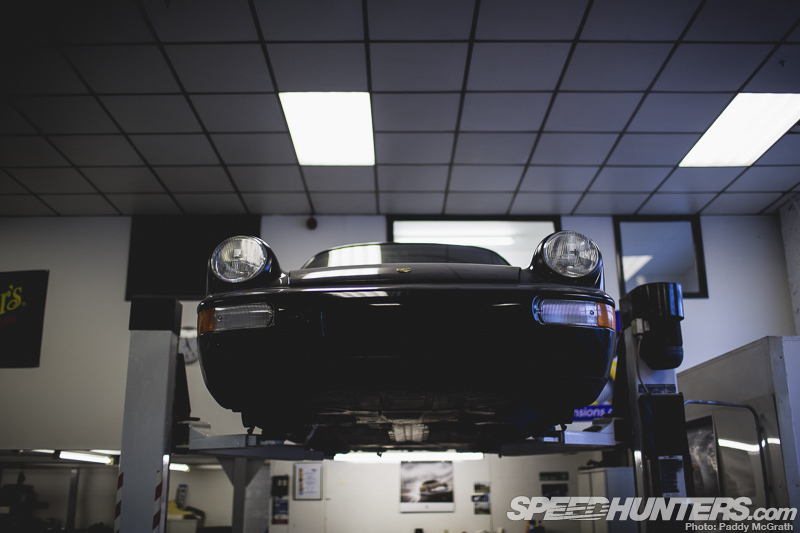 Motor-wise, the strong 3.6-litre lump has been treated to a whole host of parts from Milestone71 along with a full refresh courtesy of Rich’s factory Porsche training and skill. The Milestone71 shop logo subtly features on the pipework in the bay. Richie, along with fellow spanner wielding expert Aaron Smith, swiftly re-assembled the 964 with just a day to spare before leaving for Austria. Of course the wheels for the Porsche were ready and waiting to be fitted up and the car. Dropped using H&R suspension, looks very well on them indeed. Weirdly enough, the wheels don’t feature a crazy colour or wild finish. The reason being that, once again, Brian wanted to complement the 964’s design rather than take the eye away from the stunning body line. These Rotiform LHR wheels, with ceramic charcoal centers and bolts combined with brushed and satin clear coat lips, are relatively low key. 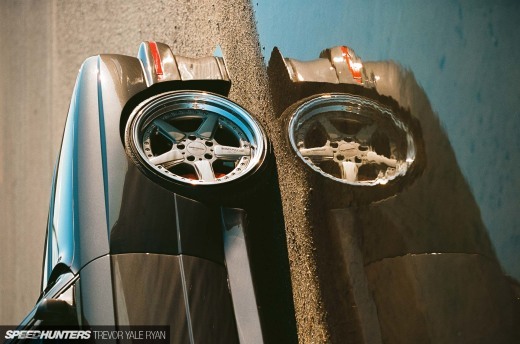 You see the Rotiform guys build wheels to cater to each and every customer’s taste. 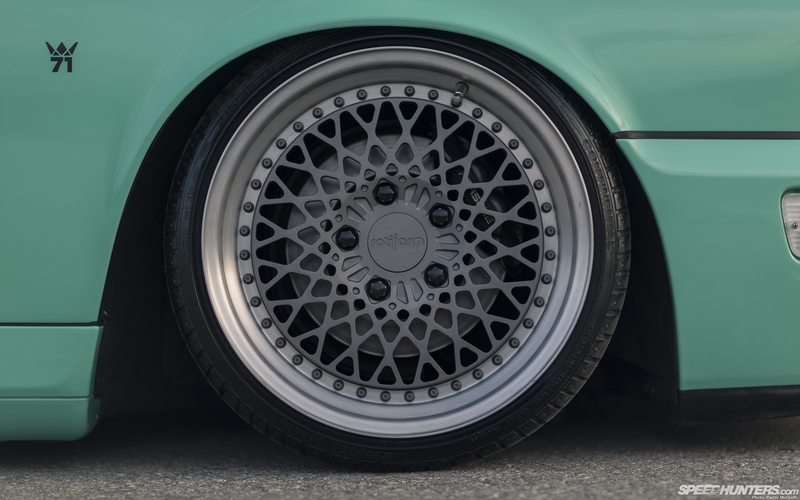 From day one Rotiform offered rare BBS rebuilds, some seriously well executed step-lip conversions and awesome refinishing. The company quickly became the ‘go-to’ place for bespoke rolling stock. This combined with its well-selling cast range and much hyped; all-forged mono, split and race wheels made the Rotiform brand completely blow up worldwide. 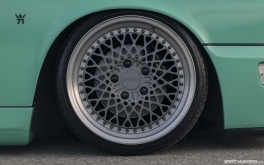 The secret to the success of the Rotiform story? When it comes to its wheels, you can have, quite literally, whatever you want. The company is based upon making people’s wheel dreams become a reality. It just so happens that in the month of May this year, 2013, Brian Henderson’s Porsche day dream was realised and it became a week long adventure for the man from SoCal. Whilst I celebrate the greener grass of Southern California, Brian can look back on an epic drive across Europe. He drove his 964 to Austria. 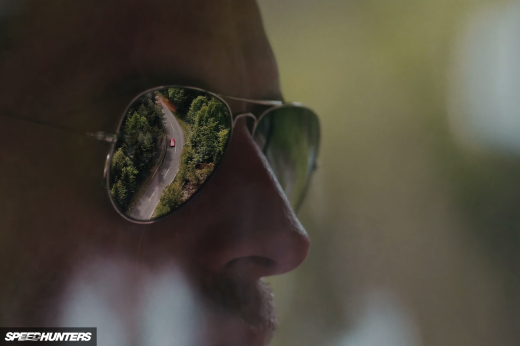 And he spent every hour he could behind the wheel of his Porsche that week. He even went to the Nürburgring and got some laps in on his way back to the UK. What I’m beginning to realise is that the grass is only as green as you make it. And before your fingers hit those keys and you make a decision on how you feel about a super-low 964 that’s not all perfectly corner weighted on a track-pleasing wheel and tyre combo, just think: are you walking the walk or talking the talk? From the point of view you see above; I reckon it’s all about walking, not talking. 964 RS dummy foglights, AP Car Design clear bumper lights, StyleHaus shaved front license plate recess, StyleHaus shaved tow hook front & rear, StyleHaus shaved mirrors, StyleHaus full respray in Porsche Peppermint Green, StyleHaus rolled/pulled/smoothed fenders (arches), AP Car Design carbon cup mirror (drive side only), 964 RS clear rear windscreen. what is the offset of the wheel?